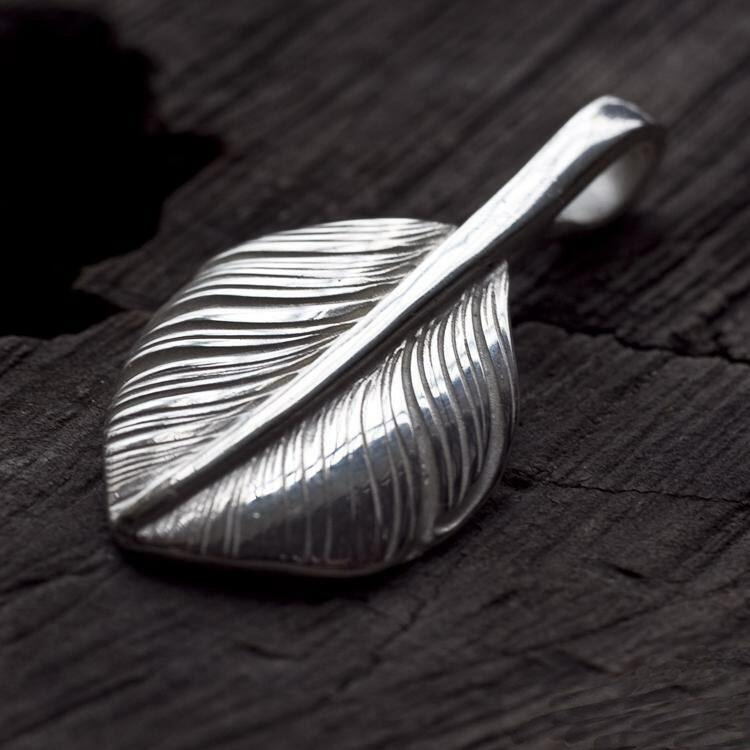 This silver feather pendant is crafted in the shape of a palm leaf. 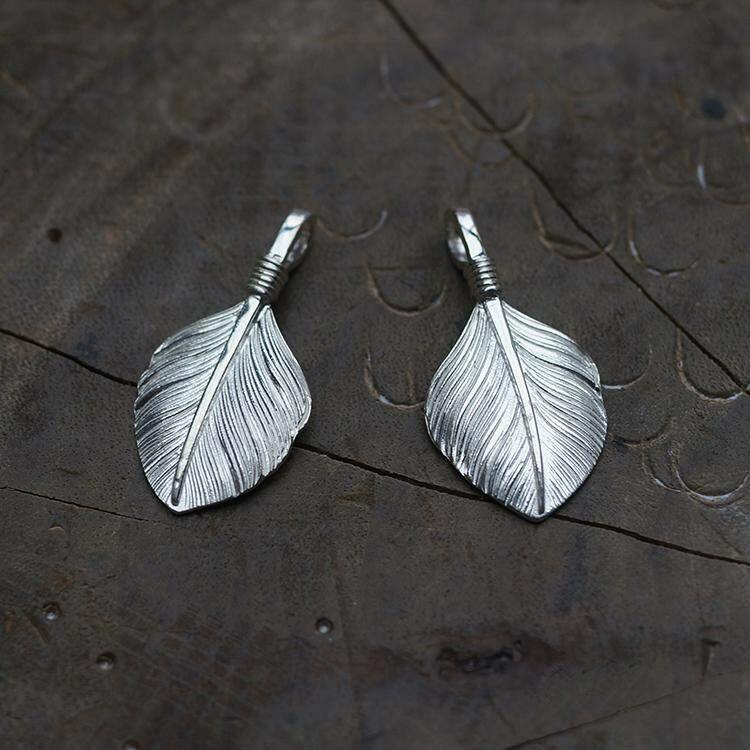 Small and dainty - the palm leaf pendant will look great on a thin silver chain, and will be perfect as a daily wear necklace. 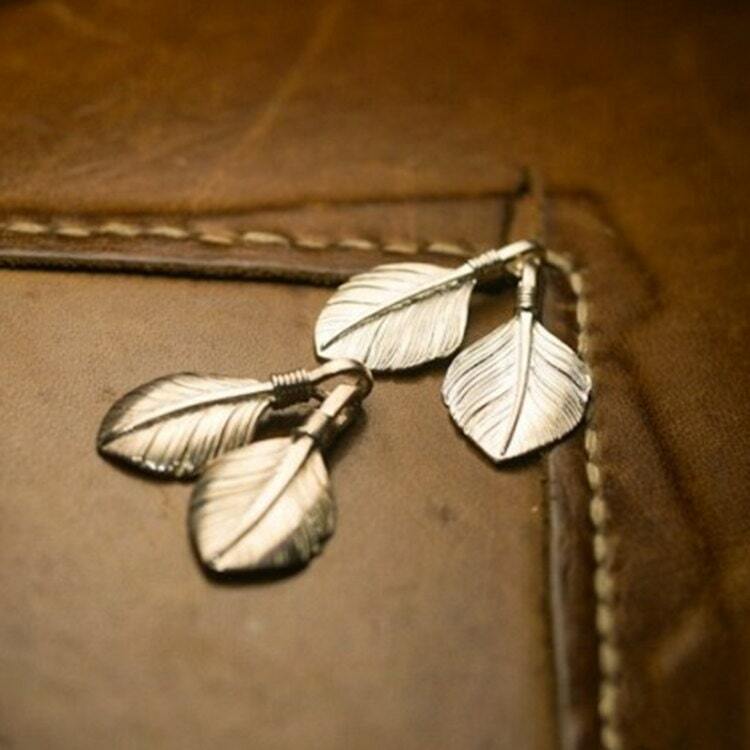 The quill is shaped into an aperture for the silver chain to pass through - and can easily take thinner chains. 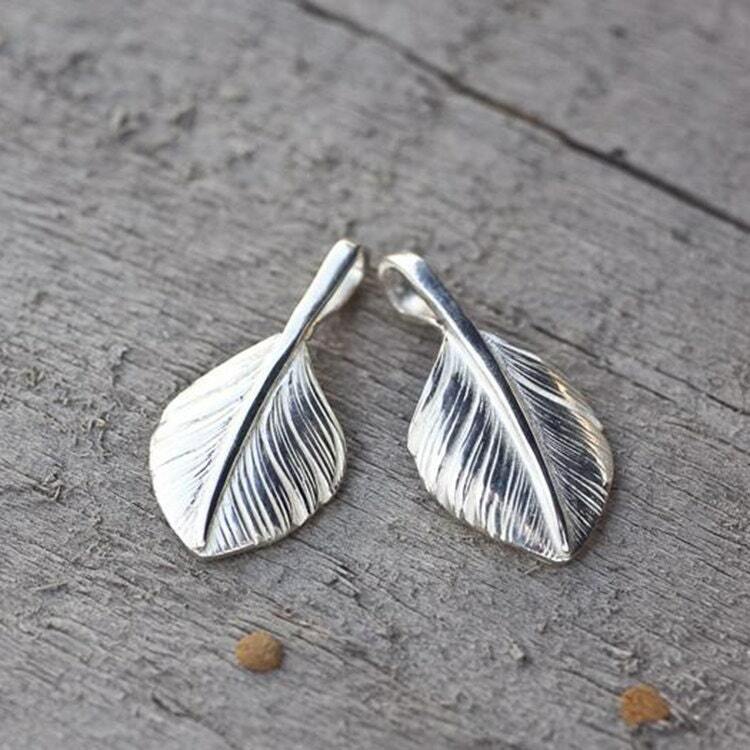 We send an additional silver loop to you - completely free - in case you want to put the small feather charm in a thicker chain. 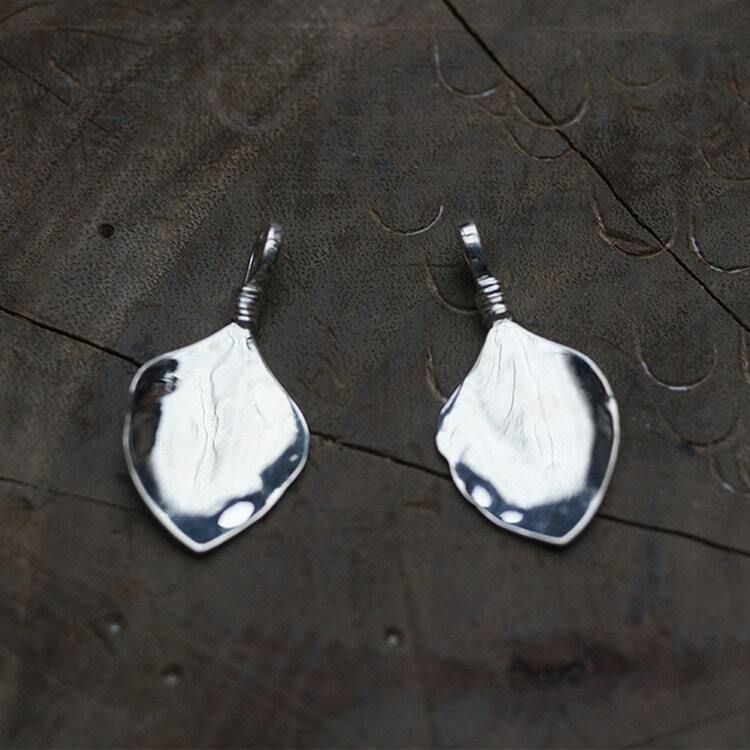 Available in two sizes - small and large, and two different finishes - original polished, and vintage oxidized. Received quickly, well-packaged and in great condition. Very beautiful! Thanks. Beautiful and detailed work. Came in a cute box with a cleaning cloth and a pouch.